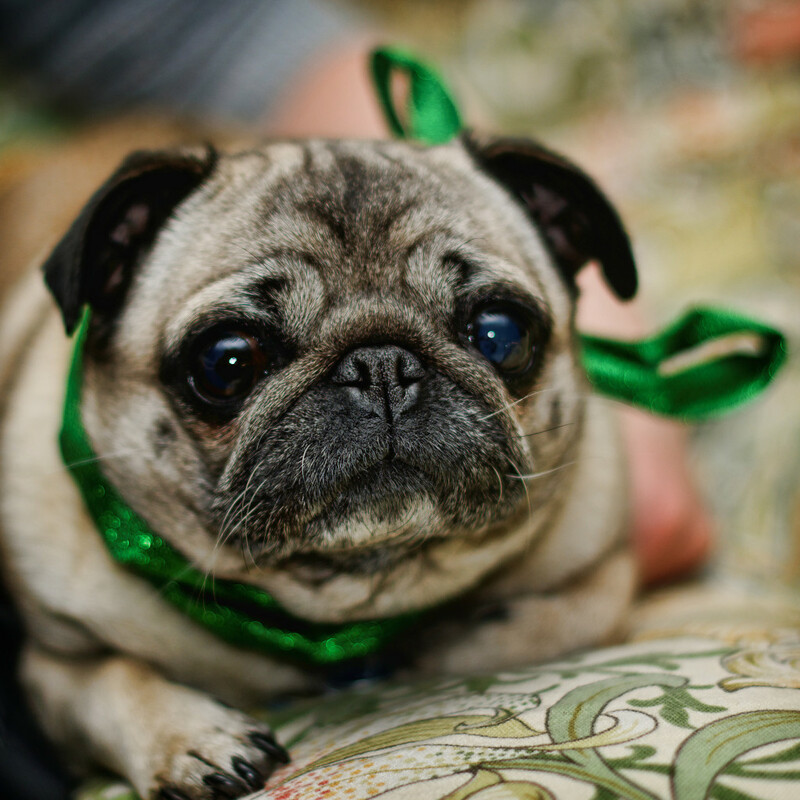 Cute pug wearing a bow! This pug picture is too cute. Look at those eyes!